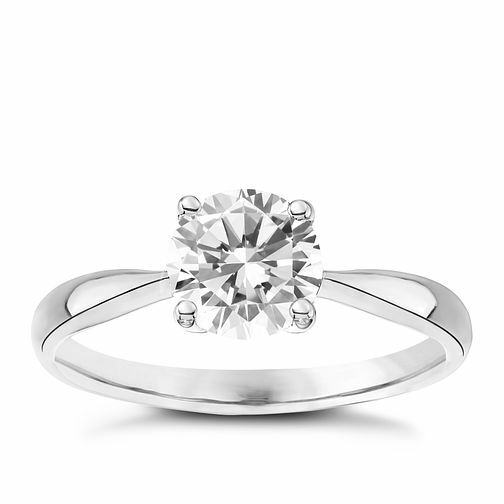 9ct white gold cubic zirconia solitaire ring in a classic style. Set in four claws, she'll love this classic design. 9ct White Gold Cubic Zirconia Solitaire Ring is rated 1.0 out of 5 by 1. Rated 1 out of 5 by Anonymous from Broken ring!! I bought this ring just over a year ago and my partner noticed a few weeks ago that it is broken, not in one but two places, Unhappy is an understatement!